One of the things I have discovered since blogging is that door wreaths aren’t just for Christmas. I know this not a life-changing discovery but as a Brit, it was a revelation to me! Now I make door wreaths no matter what the season or what my British neighbours think. 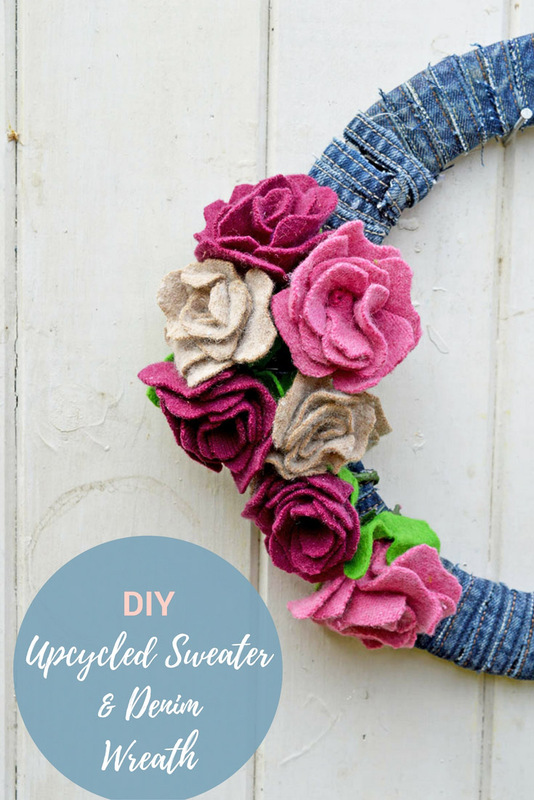 My latest creation is an upcycled sweater and denim wreath. 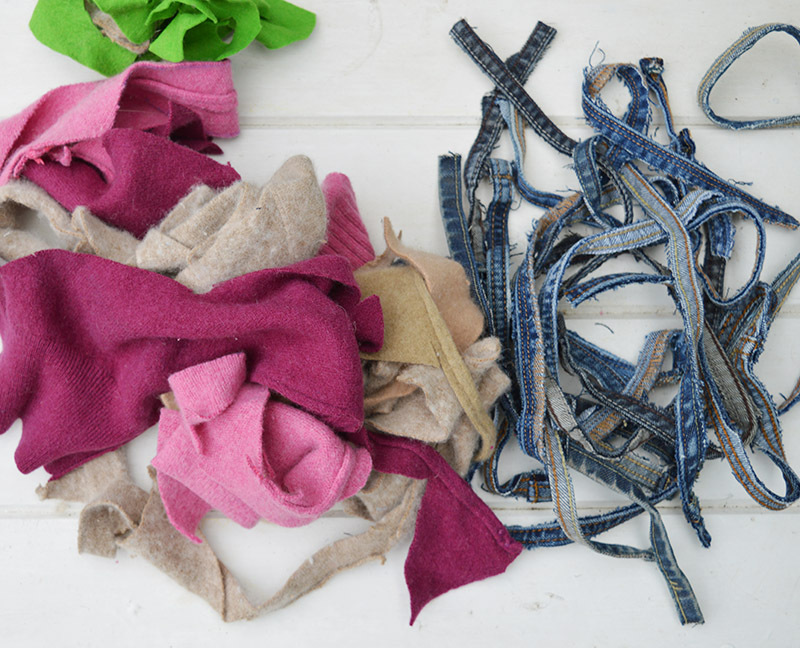 I hate waste and the other week when I made an patchwork recycled sweater blanket, I actually kept all the felt and denim scraps knowing that I would eventually think of something to do with them. It didn’t take long for that lightbulb moment to happen. I realised that I could use the scraps to make a gorgeous wreath for my door. I used the denim seams for the base of the wreath and made felt roses from the felt scraps. 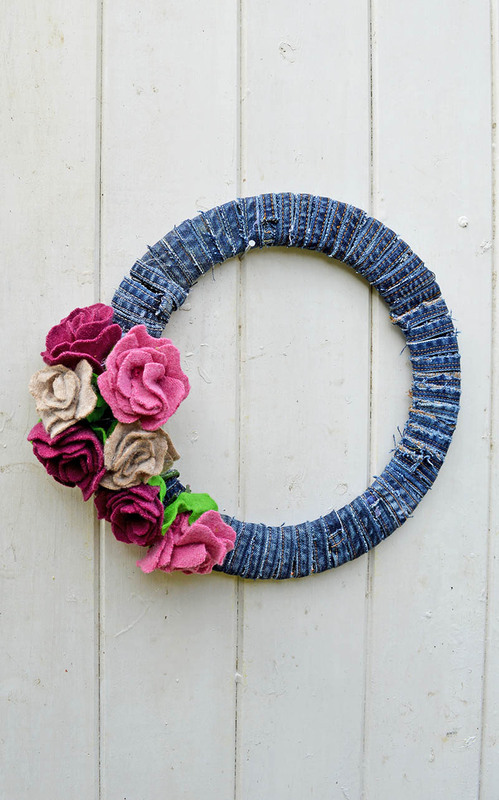 My recycled floral denim wreath is a lovely door decoration. I definitely think that it is a wreath for all seasons. Making the felt roses, is the first thing you need to do. They are made pretty much the same way as my beautiful map roses. Use the same petal template as with the map roses. 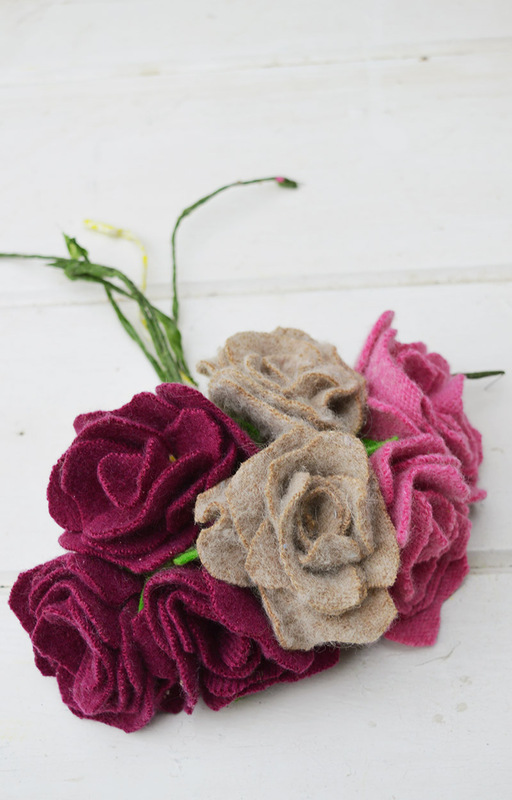 However, as felt is thicker than paper you wont need to make as many petals for the felt roses. Each flower is made with approximately 10 petals. Use fabric Mod Podge to glue the first petal to the central stem and then each subsequent petal. Next, make a simple leaf out of green felt. Fold a small square of felt into quarters and cut out a basic leaf shape. 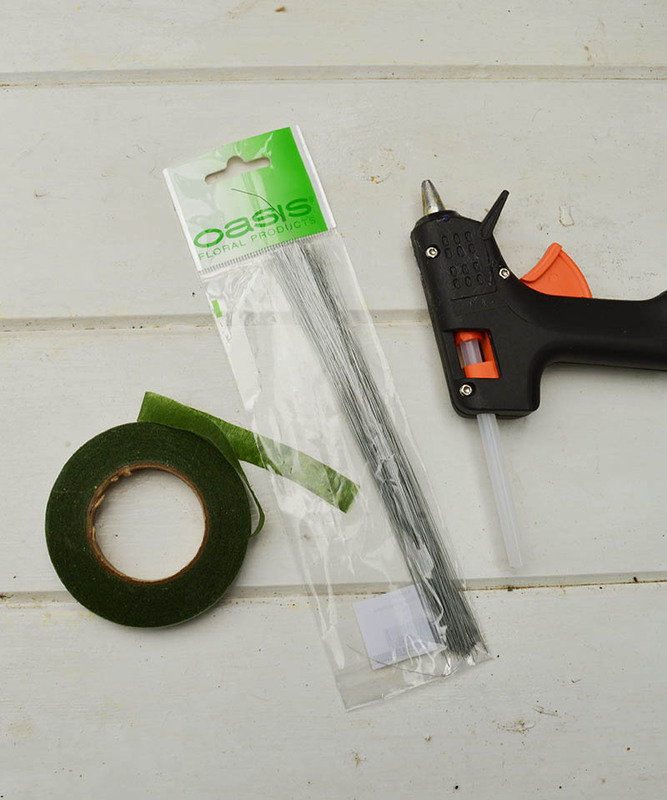 Also, knick a small hole in the corner and then thread the stem through it. Keep the leaf in place with a dab of Mod Podge. Carry on making felt roses in different colours until you have at least seven finished roses. 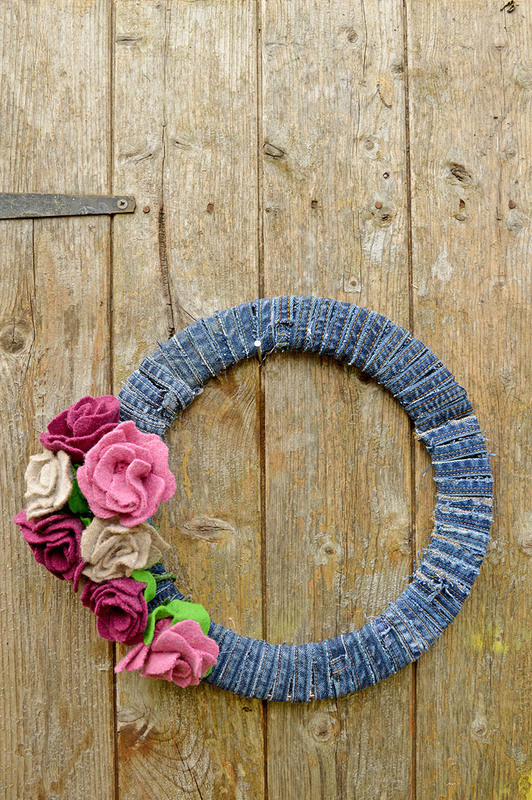 The denim wreath base is so simple to make. 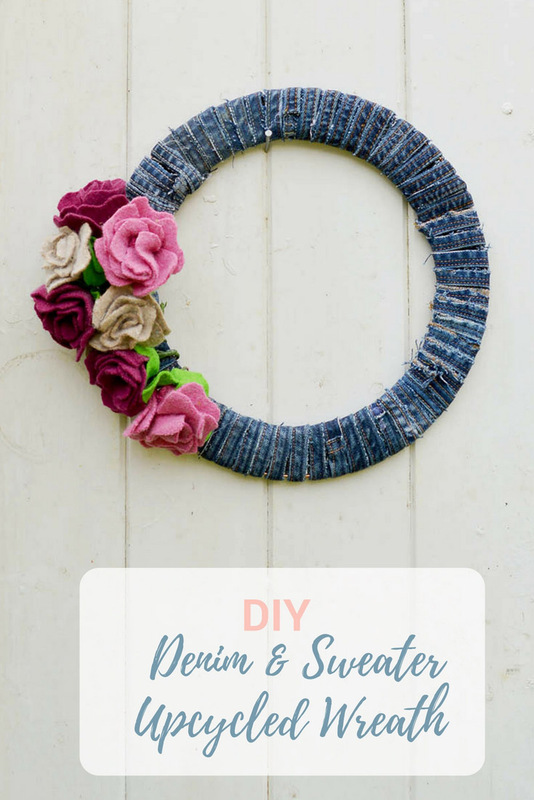 Just wrap the recycled jeans seams around the wire wreath frame securing with a hot glue gun as you go around. Once the whole frame is covered in denim, simply add the felt roses by wrapping their wire stems around the frame. I’m really chuffed with how this denim wreath turned out, especially as it was made from the scraps of other upcycled projects. 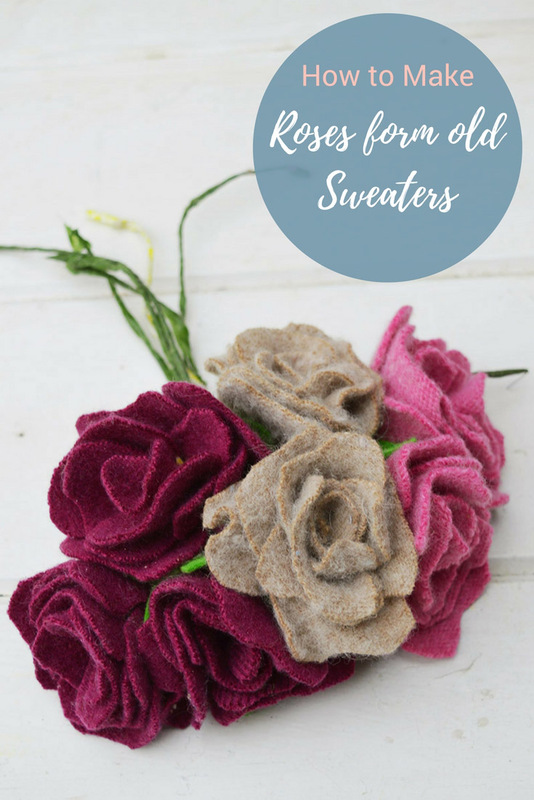 I really like the felt sweater roses and I will be making some more just to have as a decoration on their own. This is not the only wreath I have made with felt you should check out my colourful felted acorn wreath. Ha ha – another Brit here so for me wreaths are purely a Christmas thing! That said this is really lovely so perhaps I need to start being less British and considering wreaths for other times of year too! Thank you, Rosie. I’m slowly coming round to the idea of wreaths other times of the year, I do think some of the spring wreaths look lovely. So perhaps one for Easter. This is beautiful Claire, I love the flowers. I did a denim wreath back in the spring but used really pale denim and wider strips. I’m thinking now I could give it a makeover and maybe add a little more texture with some seams and a few different flowers. Thanks. Thank you Julie. I do like the texture seams add to denim projects. I love this, it’s a genius way to use old blue jeans or ones ya can buy at a thrift store! Sharing this on SM for ya, people need to see this. Have a good day! Thank you, Christine. With three boys I have a plentiful supply of old jeans. Everything about this denim wreath is so gorgeous, Claire! The color combos are perfect and the way you made the roses is so cool 🙂 Thanks for sharing with us at Funtastic Friday! I’ve never seen scraps make such a beautiful wreath! Denim and felt is a lovely combination! Thanks so much for sharing. Thank you, scrap crafts are my favourite kind of crafts. Thank you so much, Caro. It’s nice to find your community and connect with British bloggers. 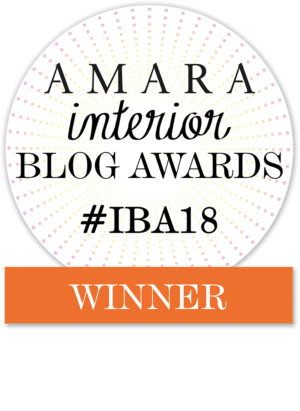 I’m established in North American blogging groups but it’s taken me a little while longer to find the ones on my doorstep. Claire, I love that you made this from scraps–the roses are gorgeous! Thanks for sharing @Vintage Charm! Thank you Cecilia, crafts from scraps are my favourite. Thank you so much. Yes I’m getting into the idea of year round wreaths. Thank you, Michelle. Plenty more denim projects to come. Hey Claire, once again you’ve blown me away! That wreath is perfect…and you can hang it year round. And I especially love that you were able to use up all those scraps. I need to get busy, I could make a wreath for every day of the year and probably still have a pile of saved scraps! Thanks for another brilliant idea. Thank you, Lynn. I love thinking of things to make with felt and denim scraps. Thank you. I didn’t really decorate my door, until I started seeing all the fantastic wreaths on North American blogs and then I thought it be fun to make wreaths in the autumn instead of just waiting for Christmas. I love everything. I’ve always wanted to create felt roses, but your idea is better. I’ll have to hang on to old clothes! Thank you, Janine. I actually enjoyed making the felt roses and it was a good way to use up scraps, I’ve still got some scraps so I will be making more. That is so cute! Love the rough denim and the sweet felt roses. And the fact that you used scraps! Thank you. I like the contrast too between the rough denim and the soft colourful felt. Claire, I love the flowers, they are perfect. I’ll have to try my hand at making a few of them myself with some scraps I have. I always love how creative your projects are. Thank you, Toni. I’m really pleased how the roses turned out I’m going to make some more to have as a decoration on their own.